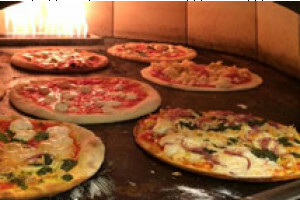 Fresh, stone-hearth pizza available by the slice or the whole pie! 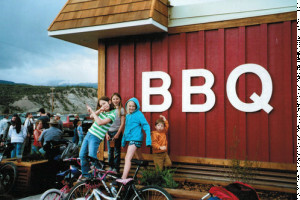 Stop in today to see why we are named the best in Jackson Hole or give us a call for your next pizza order. The Pines offers seasonal selections, a wide variety of entrees, incredible desserts & a talented staff known for making each meal memorable. Off-premise catering & banquets. DINING AT DORNAN'S: CHUCKWAGON, PIZZA PASTA, AND DELI! 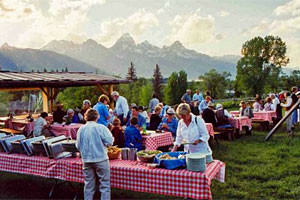 Enjoy delicious food at the base of the Tetons. Dishing is the premier source on Jackson’s restaurants. Filled with mouth-watering photos & stories, Dishing promises to leave you informed & hungry! This classically inspired cocktail bar features fresh, local, and delicious 'New Mountain Cuisine' with Michelin Star chef Rene Stein. Adjacent to the Pink Garter Theatre.